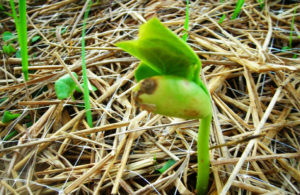 Anti-erosion biodegradable blankets are industrially manufactured from plant fibers, straw, coconut fiber and synthetic fibers. 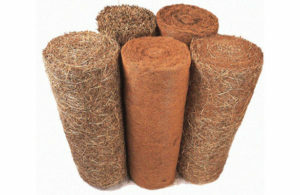 Fibers are industrially sewn forming a resistant mesh, protected by polypropylene or jute nets, which allows degradability to be programmed. 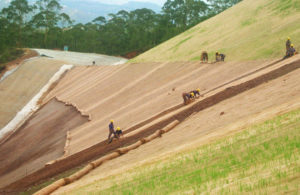 Anti-erosion biodegradable blankets allow immediate soil protection until the vegetation is re-established.